Hotel Faber offers studio, 1-, and 2-bedroom apartments to accommodate every need. The apartments have fully fitted kitchens with oven, hob, microwave, fridge/freezer and dishwasher. There is a light bathroom with shower in the apartment, and dining table for 2-4 people. Depending on the size of the apartment you have a comfortable living room with sofa. All our apartments have free WiFi, and a TV with Danish and foreign channels. 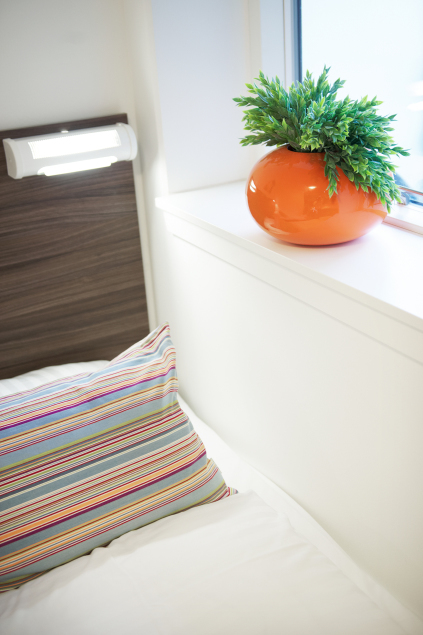 In our hotel apartments you feel at home from the moment you step through the door.